The Hanceville, AL native grew up in poverty but with pride and perseverance. She began singing at the age of five. As a teenager, she went pro as a member of The Jewel Gospel Trio, which traveled the globe in the 1950s and shared stages with Sam Cooke, Mahalia Jackson and other gospel music legends. By the 1970s, Staton had launched an R&B career with southern soul hits such as the Grammy® Award nominated “Stand By Your Man” (1970) and “In the Ghetto” (1973) for Rick Hall’s Fame Records in Muscle Shoals, AL. Staton’s 1986 track “You Got the Love” was remixed by DJ Eren Abdullah in 1991 and became a Top 5 UK Pop smash. Subsequent remixes by John Truelove (1997) and The Shapeshifters (2006) also reached the UK Top Ten and maintained the song’s multi-generational embrace in Europe. Staton has since recorded Americana albums such as the critically acclaimed His Hands (2006). The Life Happens set birthed “I Ain’t Easy to Love” featuring Jason Isbell and John Paul White. Rolling Stone magazine hailed it as one of the 25 best country recordings of 2014. In recent years, Staton has collaborated with Groove Armada, and Top DJs such as Larse, Frankie Knuckles, Dr. Shiver and Pete Tong. Her voice was sampled on the hook of One eskimO’s No. 1 hit, “Kandi” (2009). Nashville’s Thirty Tigers label will release a new Staton R&B album “Unstoppable” with production by Lambchop’s Mark Nevers in 2018. In spite of Staton’s success in the music world, she has encountered a number of harsh blows in her personal life. She was molested as a youth; she endured turbulent marriages and experienced domestic violence in other relationships. Through it all, her faith and determination to provide a better example for her five children always propelled her to succeed rather than to sink under the pressure of her problems. Over the years, Staton has candidly shared the lessons she’s learned along the way through interviews but also through her songs. “Beyond The Veil Of Silence” discusses molestation. “His Hands” sheds light on domestic violence. “Have You Seen The Children?,” reveals the negative influence media has on youth and “Young Hearts Run Free” speaks of marital discord. 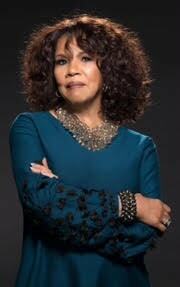 This foundation is a way for Candi Staton to help millennials to survive and thrive just as her music has been helping other generations for over five decades.